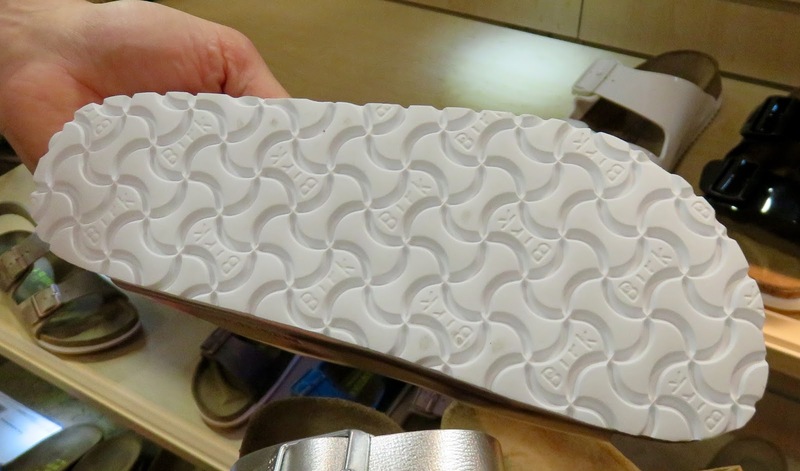 Europe was on the fashion comfort footwear express-since forever...it's their way of life and in modern times= more dependent on mass transit, biking, and walking than on individual cars...def.factoring into what attires from the ankles, down. 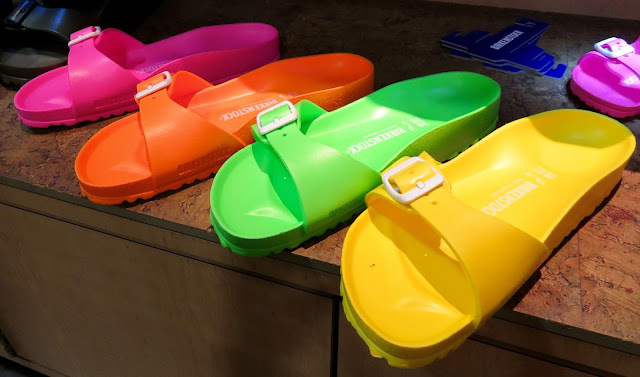 As Berlin fashion week attendees-we really saw that-visibly apparent-by the hundreds of bicycles racked up outside the major events' presentation, trade show and runway venues in that sprawling city...ridden by chic and glamorously dressed residents that smartly opt for exercise and mobile ease to get around! 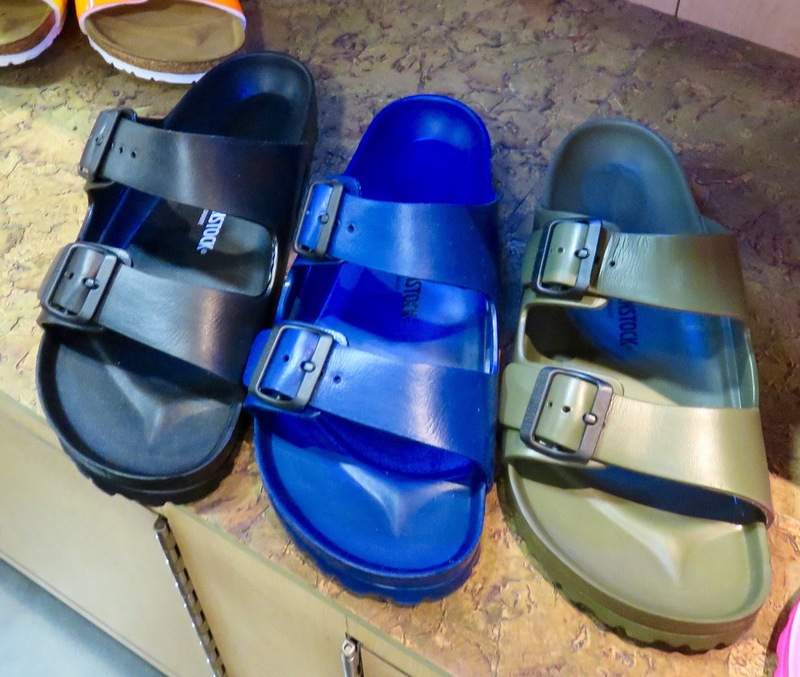 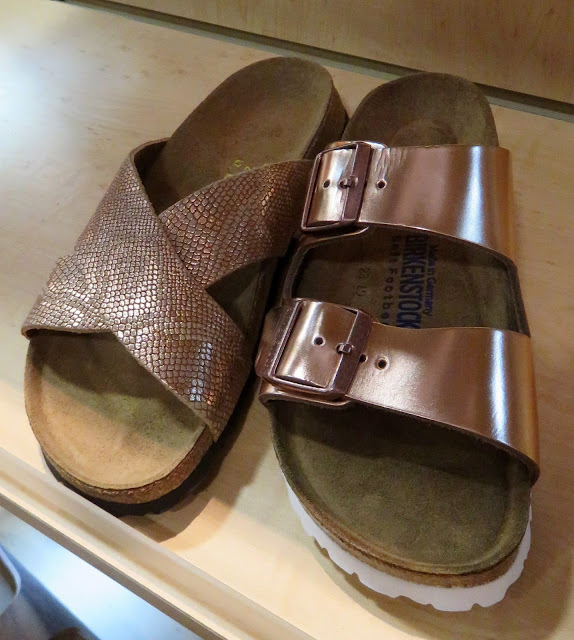 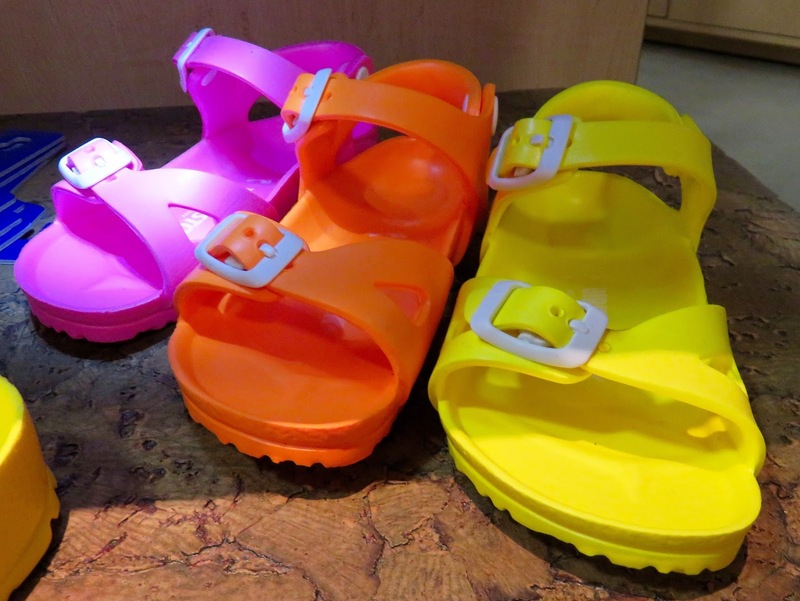 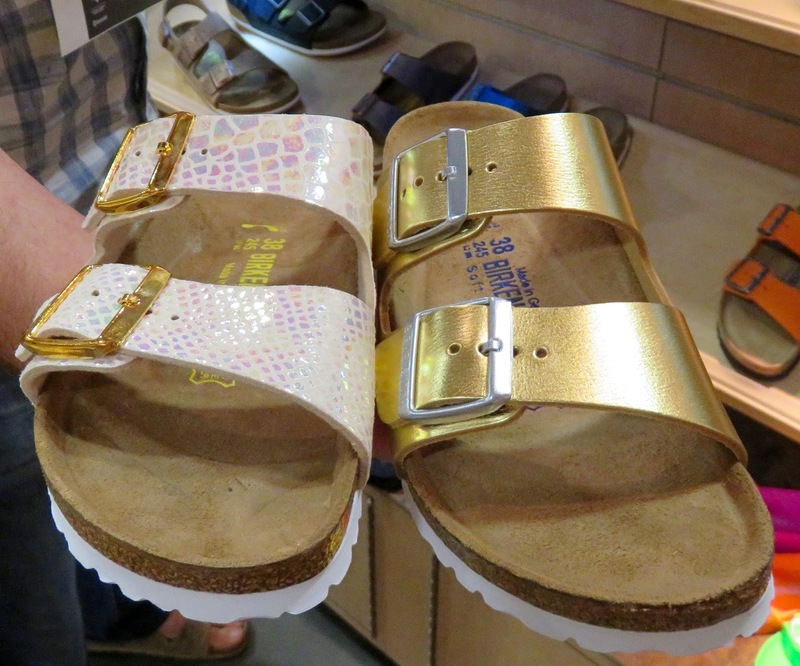 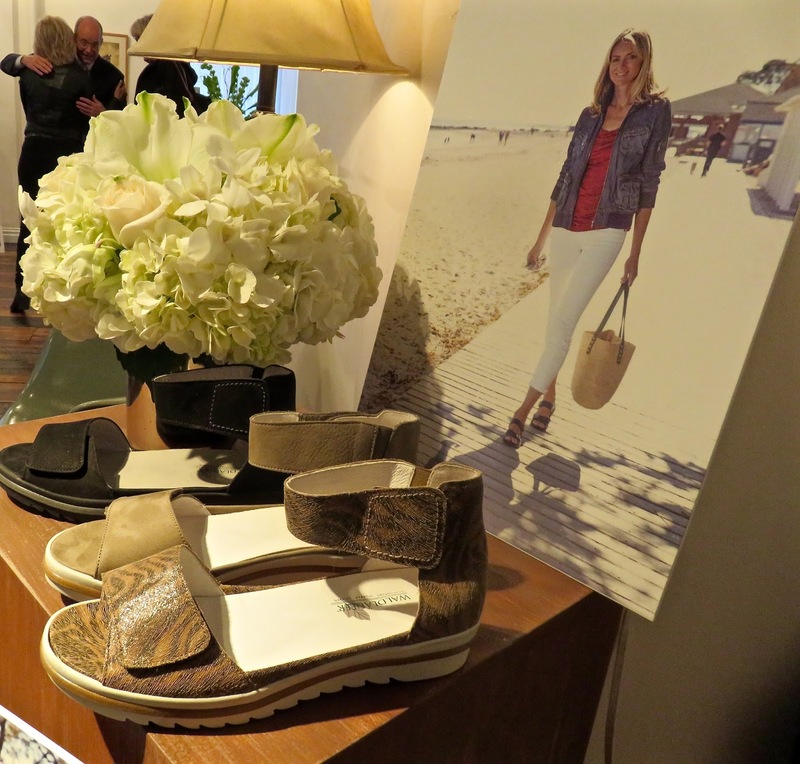 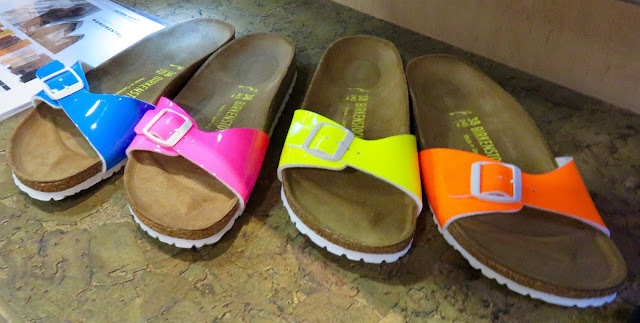 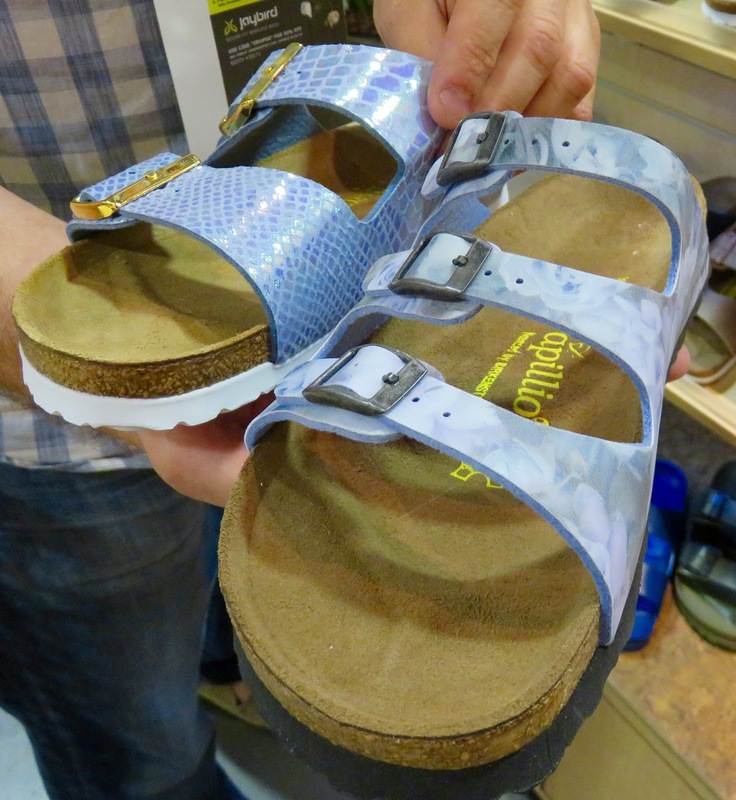 Perhaps no brand epitomizes the fashion comfort dynamic-for all-from Coachella goers-to the glammy Parisian catwalk trawlers...as Birkenstock sandals. 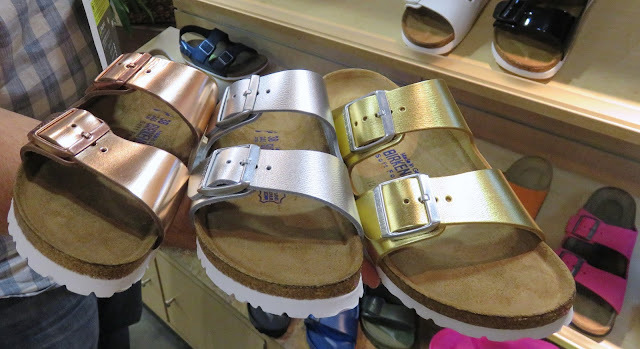 This iconic German label -230 years old---manages to refresh its classic Arizona sandal -as well as other arch cushioning correct styles-with its supportive ergonomically shaped cork and natural latex layered footbed, guaranteeing shock absorption with each step-plus, coddling deep heel cup ---below the fresh upper material choices in saturated tones and shimmery metallics paired with on trend, white rubber outsoles for Spring 2016.
bold tropical rainbow colors-Birkenstocks Madrid style in a molded rubber with characteristic arch support...perfect for the beach -inexpensive too...collect them all. 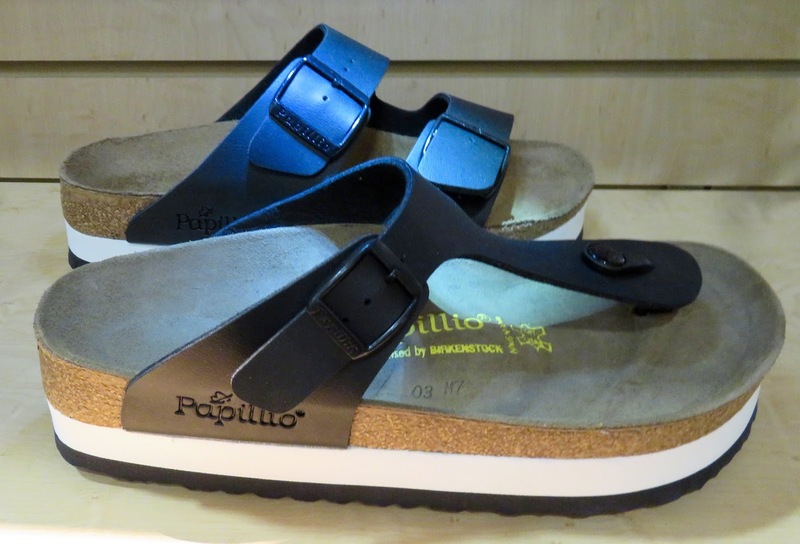 Waldläufer is newer to these shores...a large German brand that translates into "Forest Walker'- has many lifestyle selections made for those on the feet all day, who need a bit extra support, comfort assured-in regular as well as hard to fit, wider widths. 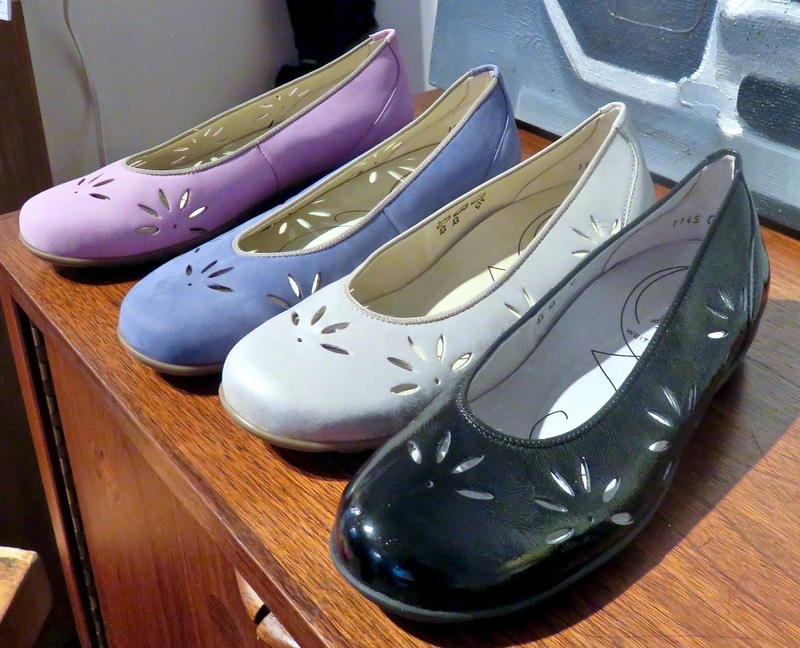 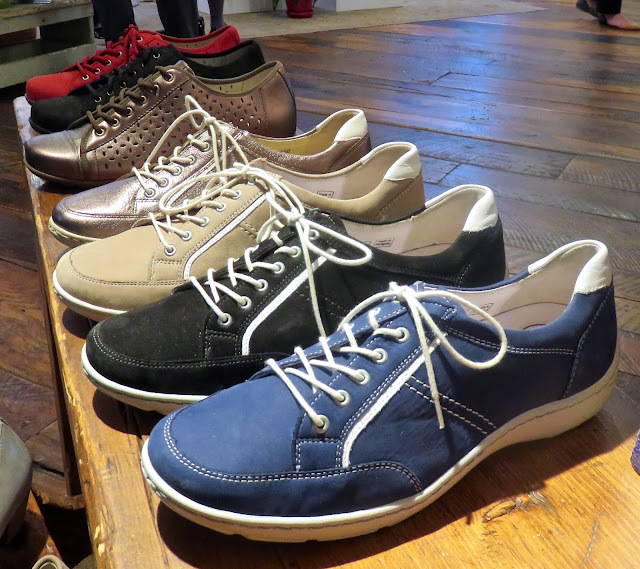 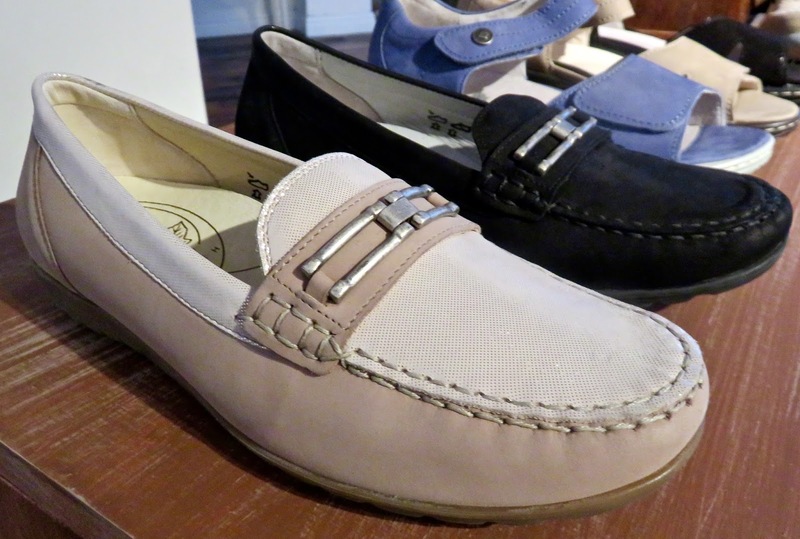 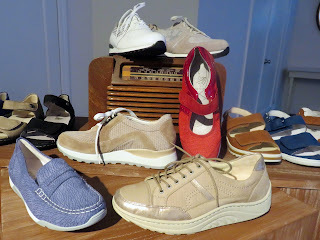 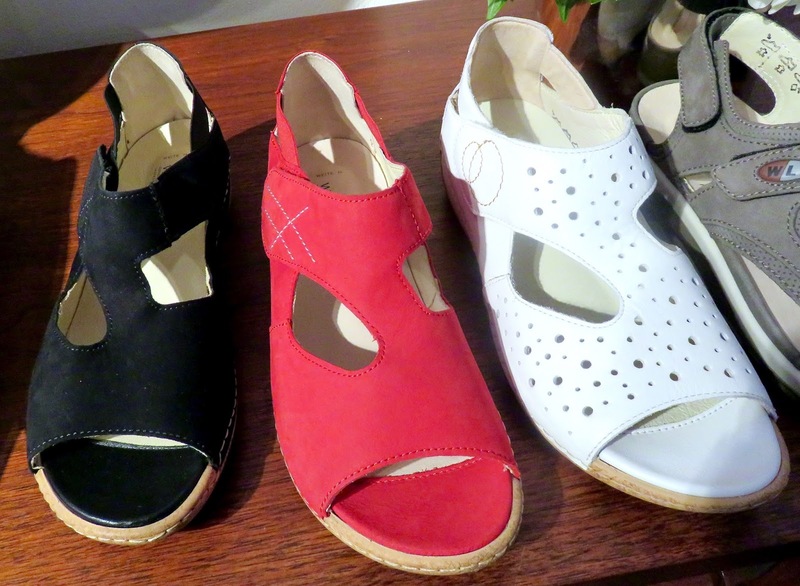 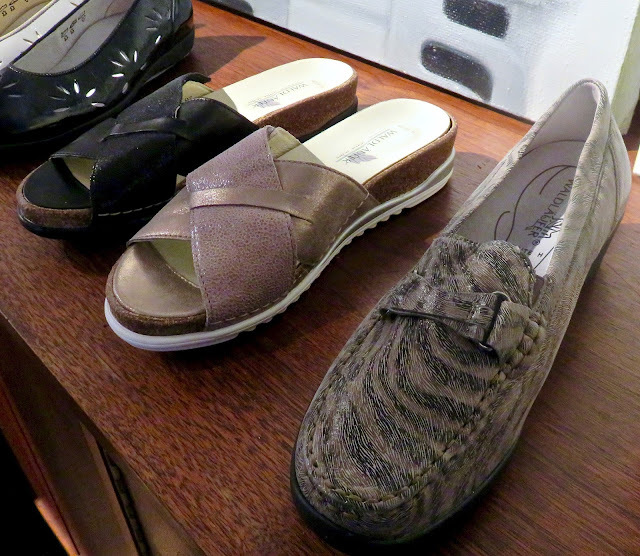 These made in Europe styles include casual strollers, drivers, slip-on-loafers, pumps and sandals....for women and men. 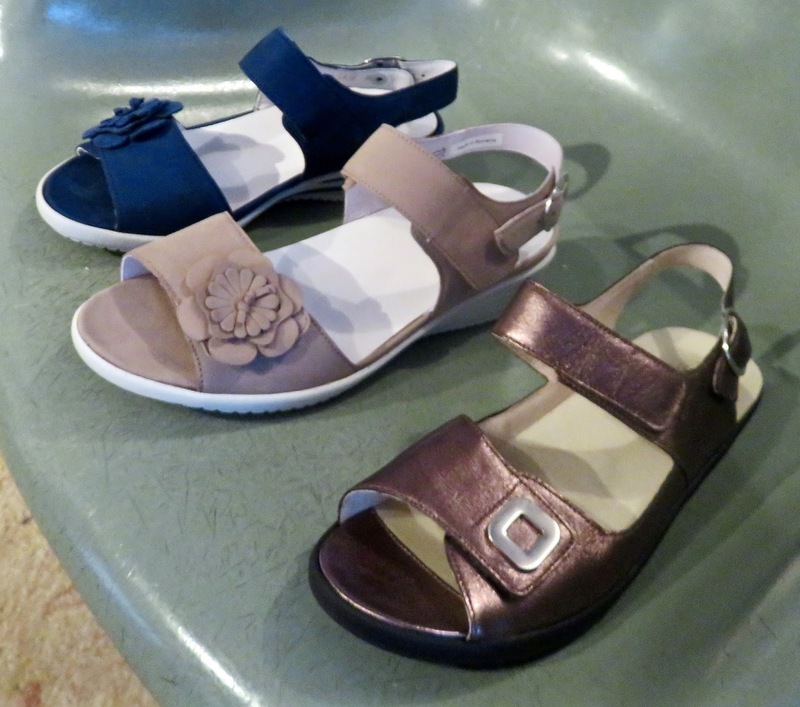 Bianca $155 has adjustable ankle with stretch inset for flex-and adjustable front strap-can really see the layers of comfort built in-with an outsole that grips well if on a boat or wet from the rain city sidewalk that gets slicked up...happens enough on 6th Ave. in midtown! 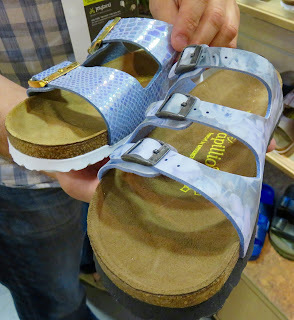 IMO: Waldläufer can run on the wide side-the heel shapes particularly-easy solution-put another footbed atop the one already inside...for a more snug fit.